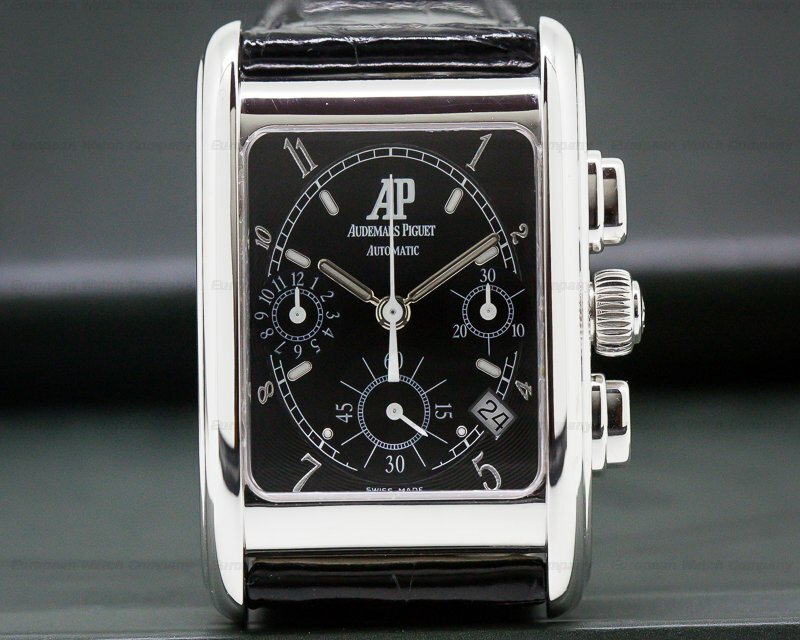 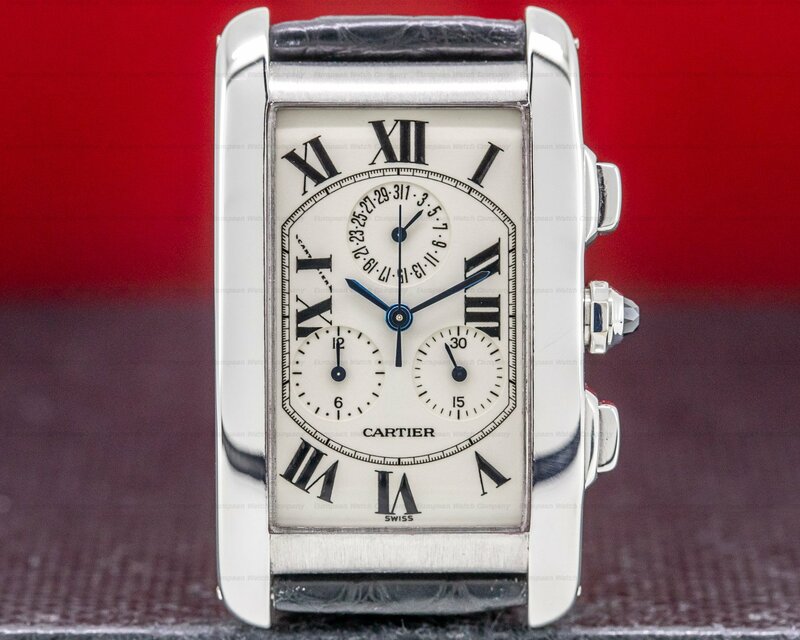 This is an 18k white gold Cartier Tank Americaine Chronograph W26033L1. 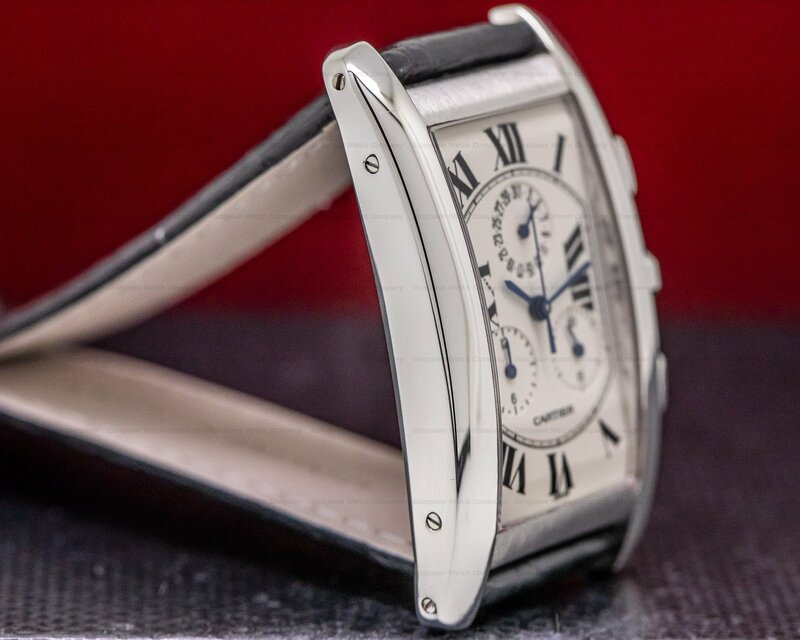 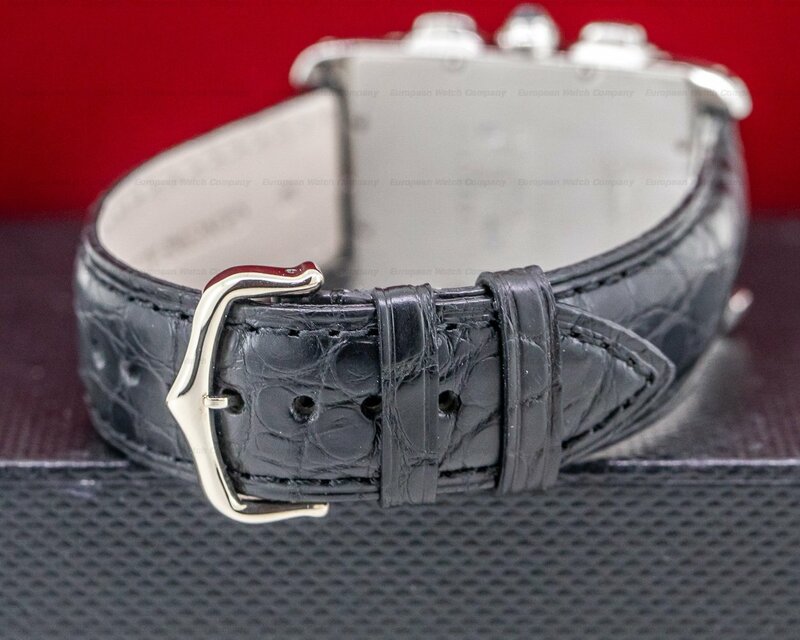 It has an integral 18k white gold link bracelet with a triple folding deployment clasp, and a curved scratch resistant sapphire crystal. 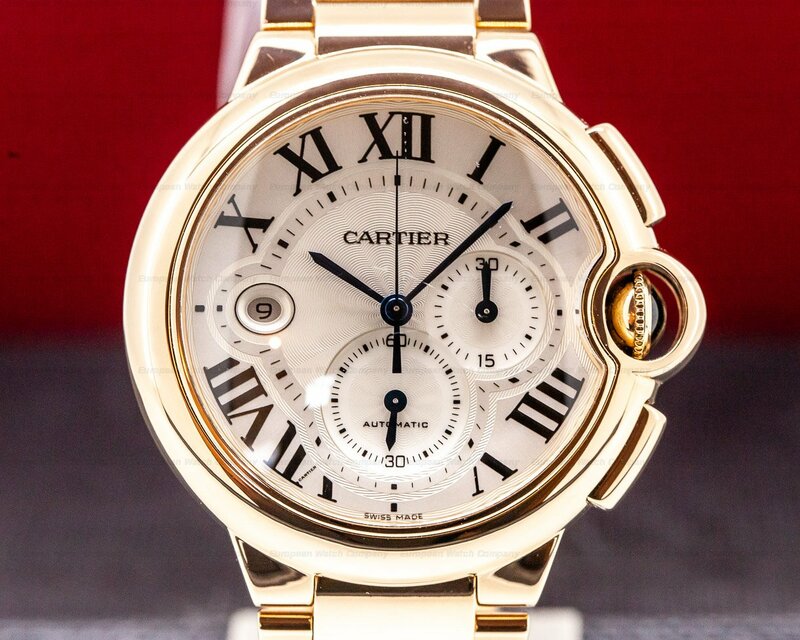 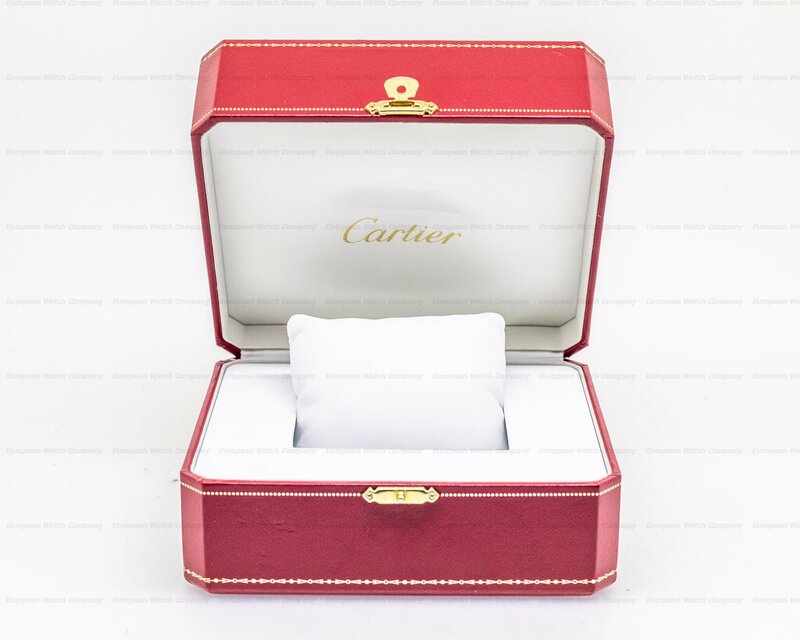 It has a pull out winding crown set with a faceted sapphire, rectangular chronograph push buttons, and a solid curved case back secured with 8 screws, and engraved with "CARTIER-WATER RESISTANT-SWISS MADE-18K," a case, serial number, and several hallmarks. 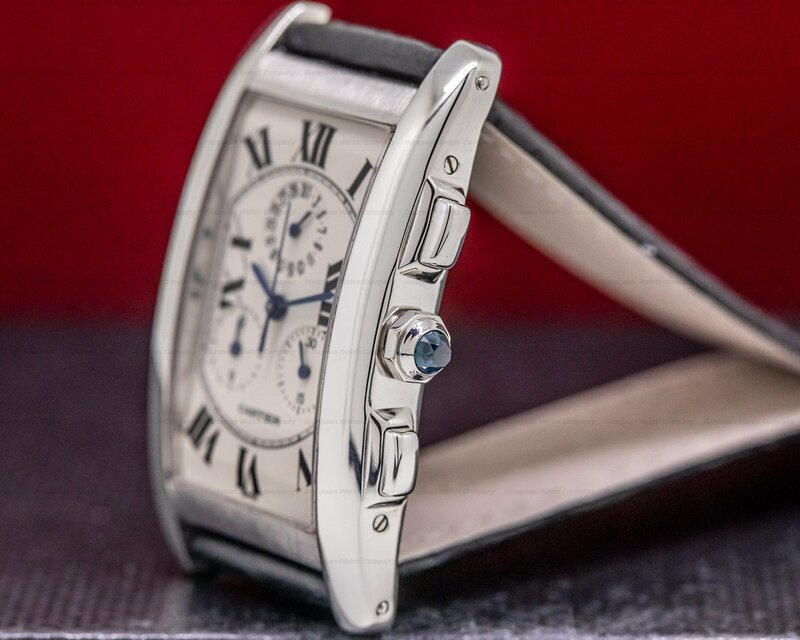 The 45mm by 27mm curved two-body solid case, gently curved lugs, bracelet, and curved bezel, are polished. 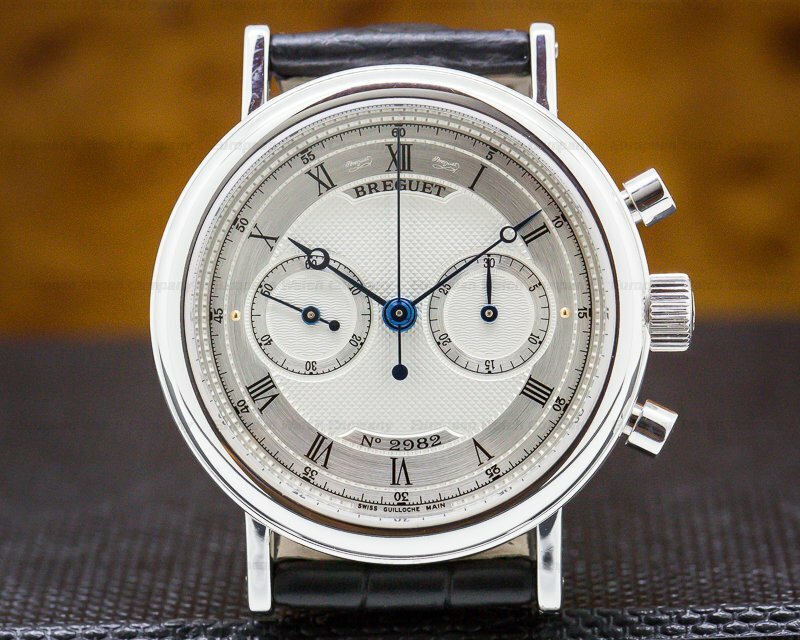 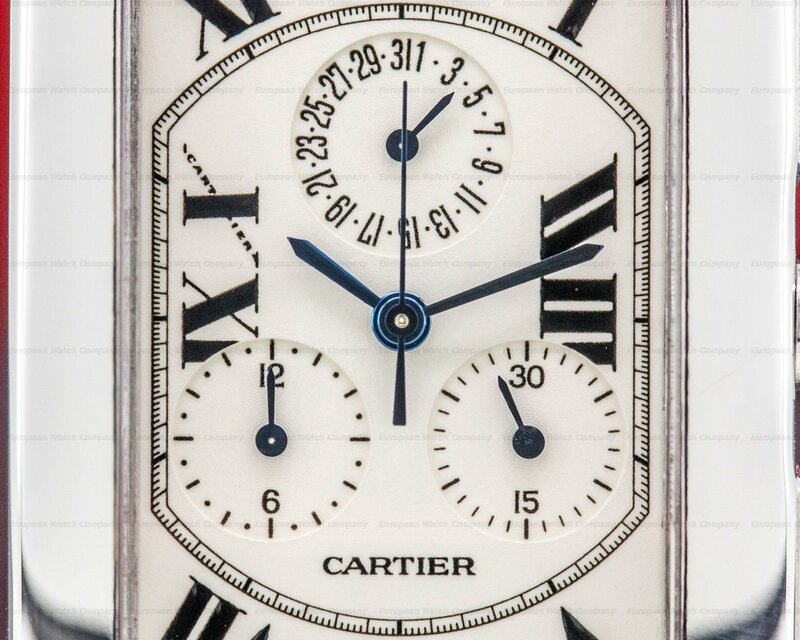 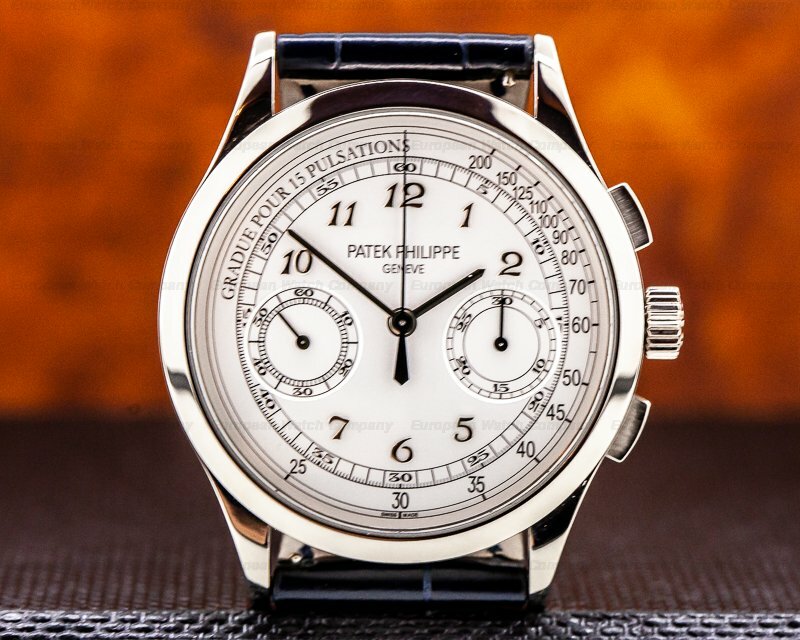 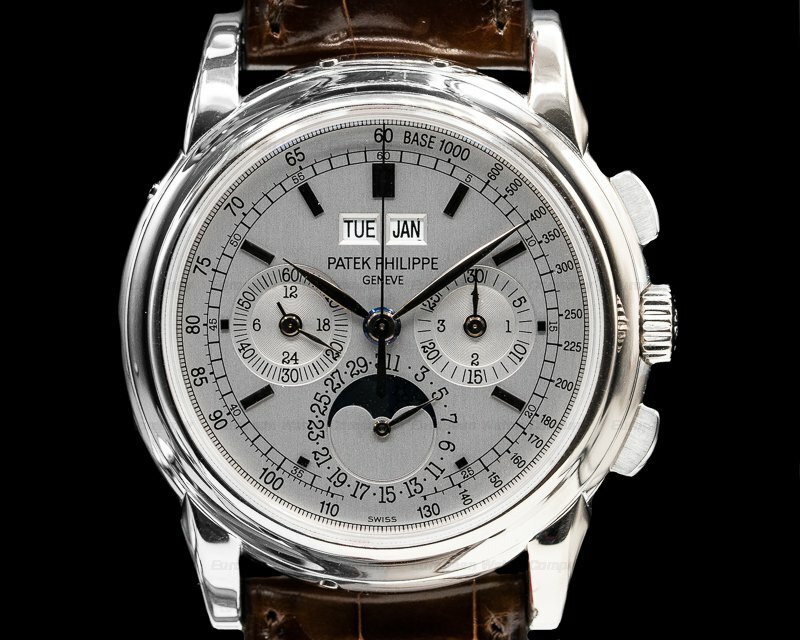 It has a cream/white dial with black Roman numeral hour markers and the secret Cartier signature at 10 o'clock, blued steel sword hands, a blued center sweep chronograph hand, and a railroad-style minute track. 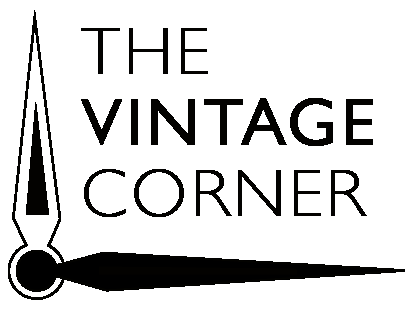 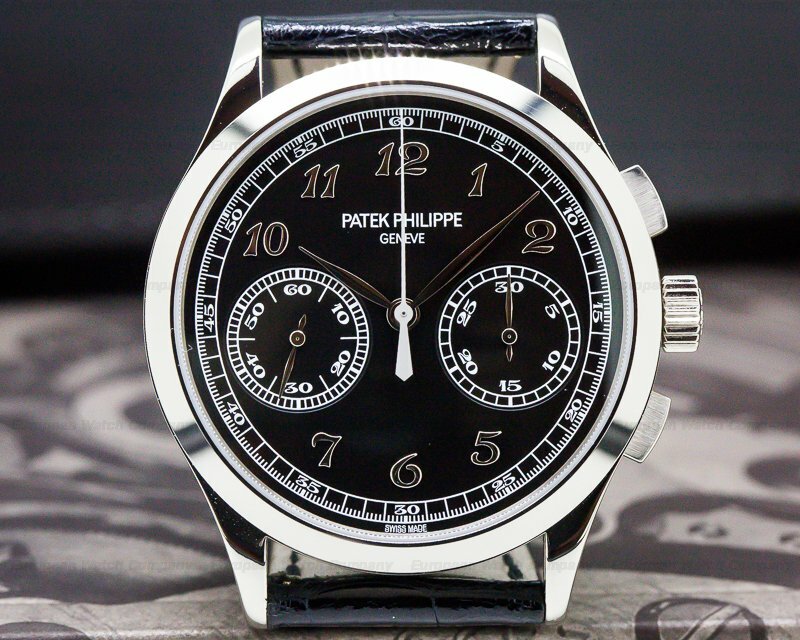 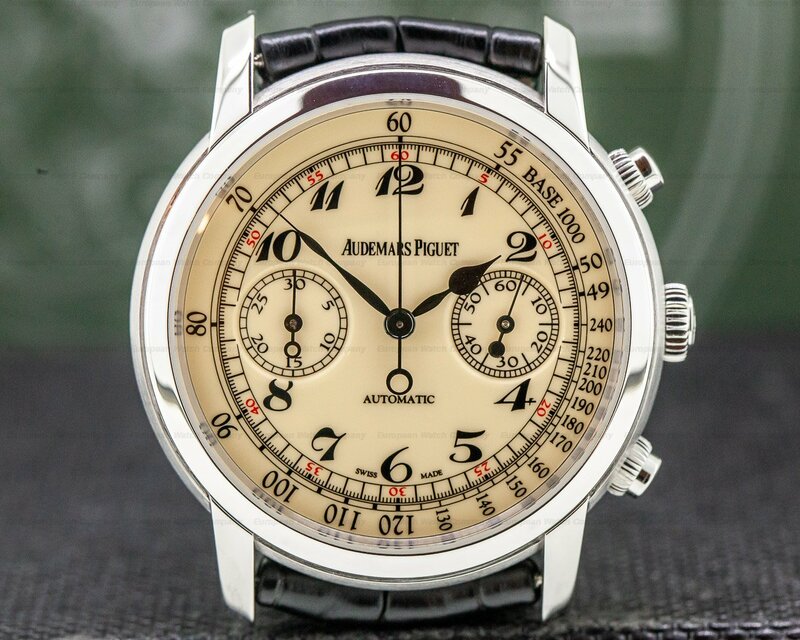 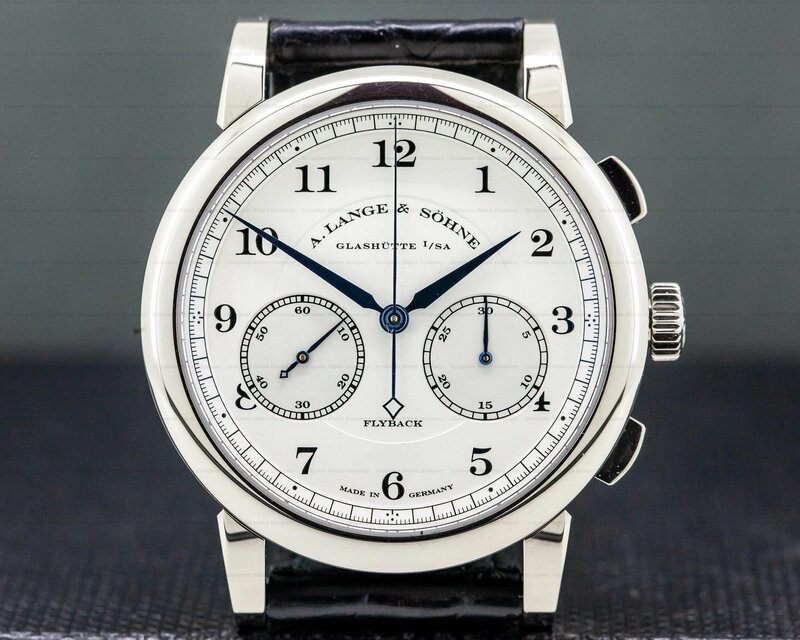 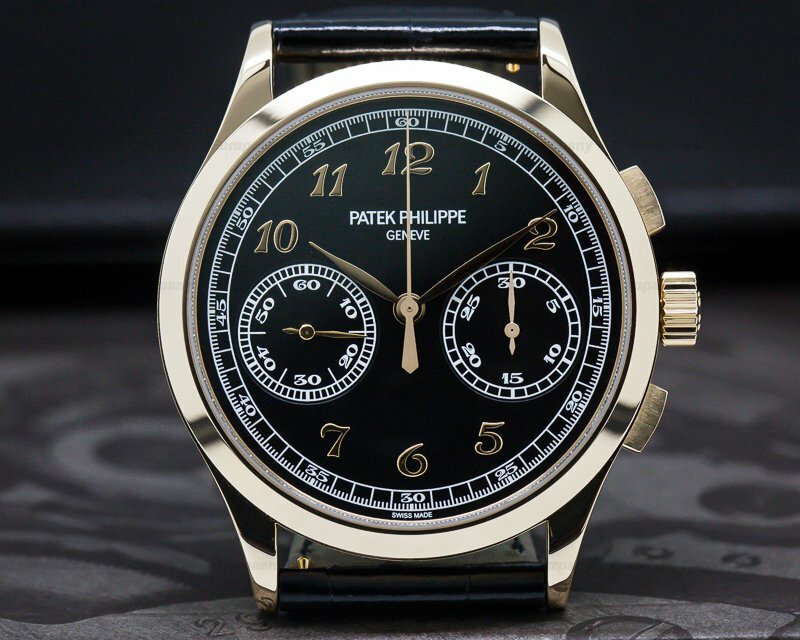 There are three recessed cream subsidiary dials with black markers and Arabic numerals, including a radial date register at the 12 o'clock position, a 12-hour chronograph totalizer at 9 o'clock, and there is a 30-minute totalizer at 3 o'clock. 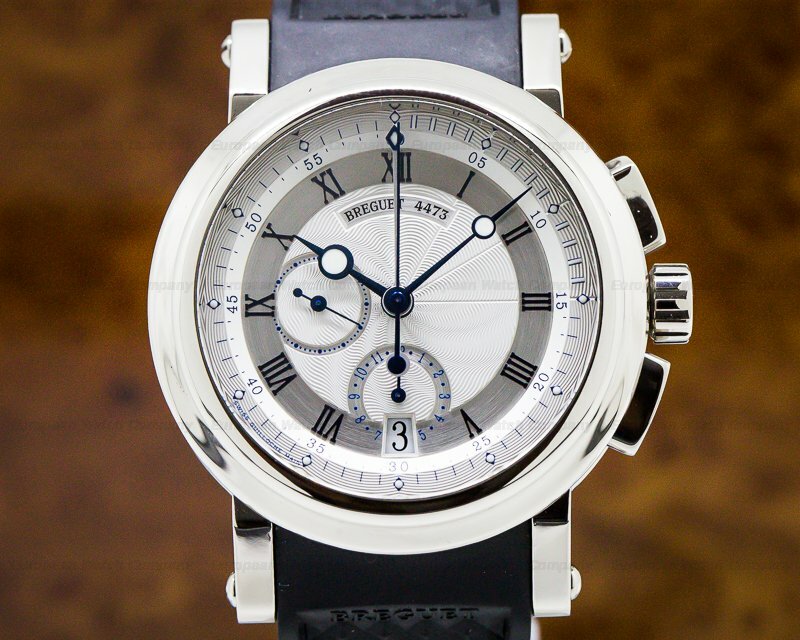 The split timer chronograph works off a caliber 212 quartz movement standardized for supreme accuracy. 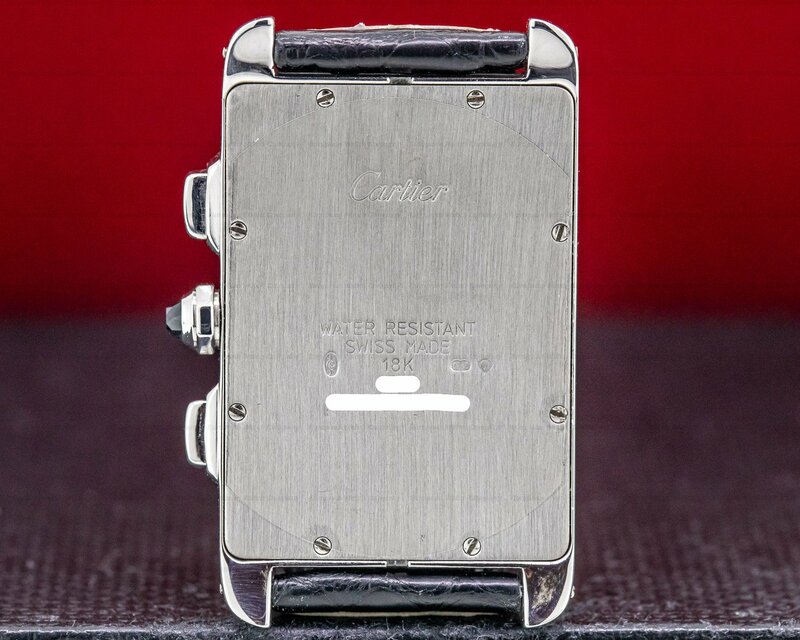 It's water resistant to 30 meters/100 feet, and the 7mm thick case, dial, and movement are all signed. 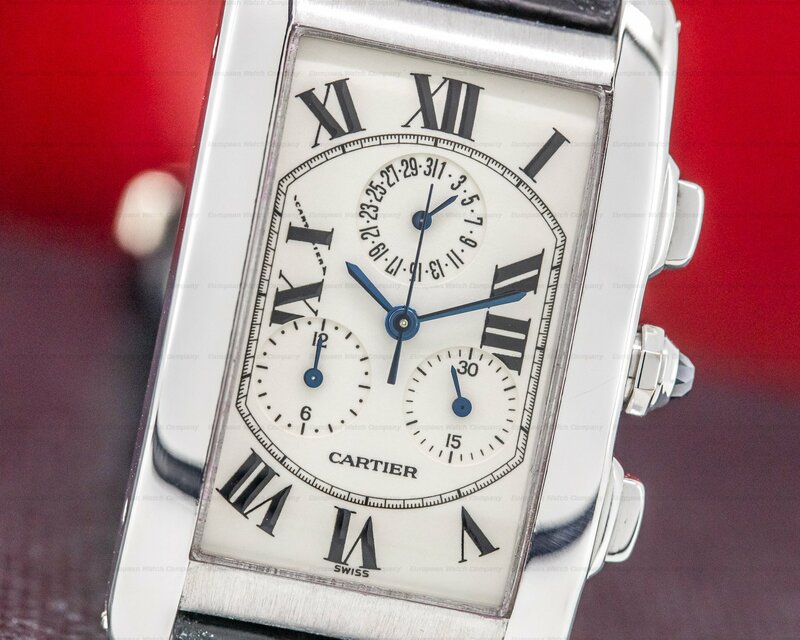 The Cartier Tank Americaine Chronograph W26033L1 was introduced c. 2005.